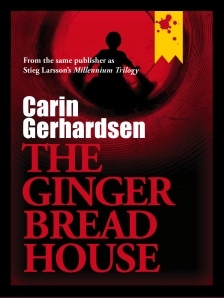 One of the newest entries in the Scandinavian crime wave, Carin Gerhardsen's The Gingerbread House is a police procedural set in and around Stockholm. The central detective characters are Conny Sjöberg (whose family life with his wife and children form a large part of the story) and Petra Westman, whose own private life leads to a separate investigation. The main crime in the story is set up when a lonely man happens to see a man he recognizes on the street as the grown-up version of a pre-school bully who had so tormented him that it has affected his entire life. The bully turns up dead the next day. From there, the police investigation alternates with the diary of the killer, which is increasingly graphic in its brutality, and the bullied man's memories of the childhood violence, which is also grimly brutal. Many, even most, of us have some experience of bullying, but Gerhardsen accentuates and highlights the social problem by linking it to lifelong trauma, even insanity. Late in the book, one of the cops comments that most people who are bullied grow up to be more or less normal people, but the rest of the book emphasizes people who don't. Petra's separate investigation concerns a sexual assault that takes place in her off-duty life, and, to my mind, the author leaves the reader wanting to know more about this case. There is a bit of a twist at the end (as there also is in the main story), leaving an opening, perhaps, for a sequel that will give us more details about the resolution of this part of the story. Speaking of the twist in the main story, it's one of those shifts that gets you looking back at the earlier sections of the book to see if you've been misled by the author. But The Gingerbread House is carefully constructed: the reader may be fooled but not cheated. What kept the book from being at the top rank of Swedish crime, for me, was an excess of digression (not only into the personal life of Sjöberg but also into, for example, the history of war in Lebanon. 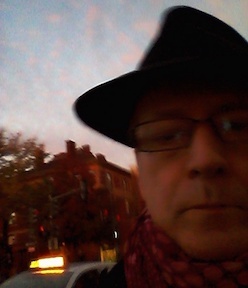 These sections bog down the story rather than creating tantalizing delay and anticipation. The story overall resembles most, among Scandinavian crime fiction, the Erik Winter novels of Åke Edwardsson (set in Gothenberg): both series have leading men with more or less happy home lives (with normal bumps in the road) rather being tormented loners. Both series have important female characters who are competent detectives with their own complex personal lives. Edwardsson's recent novels are among the best written and constructed of all the newer Scandinavian crime novels; if this first of Gerhardsen's doesn't quite live up to that standard, perhaps the later entries in the series will. The Gingerbread House is published by Stockholm Text, a new and welcome enterprise bringing Swedish writers to English readers, and I obtained my copy as an e-book through NetGalley. Interesting review - I'm going to add this to by wish list. I mean "my" wish list - oops! I think you've accurately pinned down this book. Absolutely on the "bogged down" - reading the parts about the history of the Lebanon, I ask you! But I enjoyed it, despite its flaws and its slightly too enthusiastic descriptions of the murders. The police don't seem to have computerised databses, which surely hindered them from working out some relatively obvious connections, but perhaps real life is like that -- and it sure makes a change from the usual cliche that high-tec gives you instant answers.